Welcome back to the retrospective of our trip to the Southern States, in celebration of yours truly reaching the ripe old age of thirty. You can find part one here. The whole city - though especially the French Quarter - feels like a massive film set. Impossibly cool and beautiful buildings line the streets. Because so many countries owned the area over the years, there’s a complete mish-mash of styles, and it’s amazing. There’s music around every corner. And more beignets than you can shake a stick at. We went on a walking tour of the city, and learnt the difference between a balcony and a gallery, and how the city suffered from yellow fever as it was first getting established. We ended up in a private garden with a statue of Jesus, arms spread - known locally as Touch-Down Jesus. 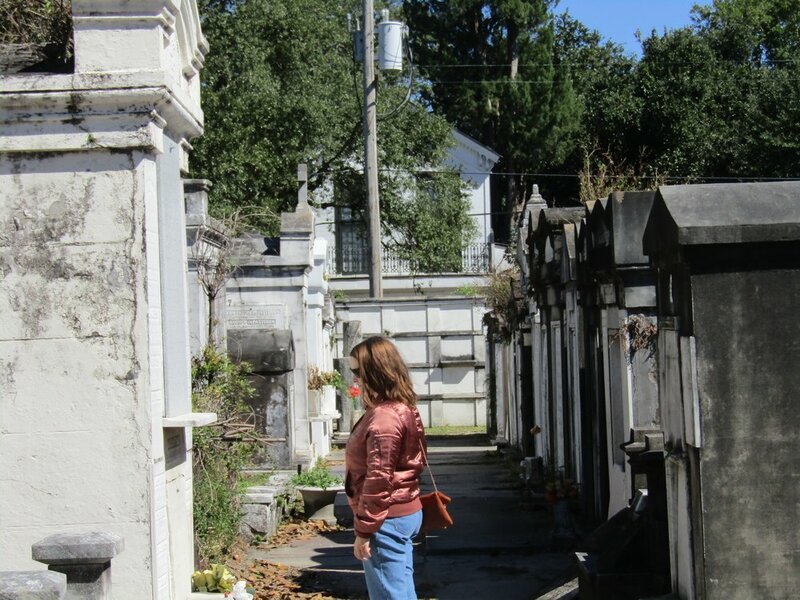 We took a trip on a streetcar (sadly the one named Desire has been retired), and visited one of the famous above ground graveyards, on a blazing bright, but chilly day.